we’ve purchased another filly today at the Inglis Classic Yearlings sales. 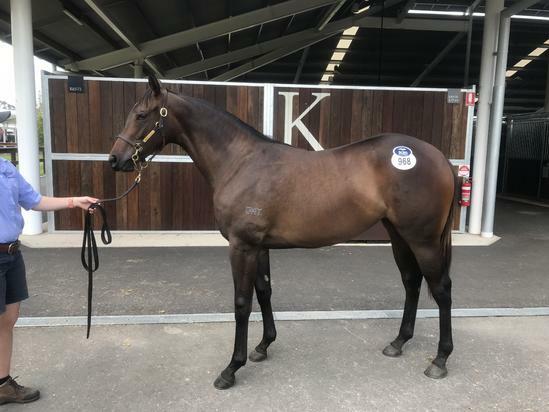 This filly is from exiting first season sire, Headwater by Exceed and Excel who has had a lot of interest with his progeny at the classic sales. He certainly throws nice types and there is a nice deal of speed thrown into her family evidenced in her confirmation. She is a well put together filly with a kind eye and temperament to match. We very much look forward to getting her in the barn to commence her first prep. Good luck to her buyers.